That’s what Democrats want to do. The “certain aliens” are the undocumented type. H.R. 6 is a false promise to illegals and a guaranteed failure out of the box good for little more than press releases, blame, and partisan grandstanding. The Democratic Party and activists supporting this bill forget that there is no such thing as a “Dreamer.” It’s a made up term for something liberals won’t call by its real name. “Amnesty” is a dirty word. Republicans wisely avoided the issue with their not so historic RAC Act (“Recognizing America’s Children”). Democrats are only slightly more honest with the title of their new legislation and we should be suspicious of the “other purposes.” Why? We’ll get to that in a moment. Obama may have cared, but it doesn’t matter anymore. He isn’t sitting in the Oval Office and Democrats don’t rule the Senate. Most important, America refused to commit to legitimizing illegals then and we won’t commit to it now. That’s a problem for H.R. 6. Hoyer: 86% want this. Who cares? The Dream and Promise Act announcement included an uncited, unsubstantiated claim from Hoyer that 86% of Americans want this new bill to pass.3 That seems unlikely, considering the bill is brand new and besides, when has it ever mattered to Congress what the majority of us want? What matters at the moment is what majority Democrats want. 210 have signed on as cosponsors. Not a single House Republican supports this legislation. In truth, American citizenship is defined by law but that’s not something that impacts liberal immigration propaganda. That bit of profundity is the problem, of course. So is what H.R. 6 wants to do with another bit of legislation that protects Americans. Ten years of protection from deportation and a hazy take on what constitutes criminal behavior is old school. We’ve been there. We’ve tried to do that. With the exception of the Obama DACA order legislative initiatives have failed. That means in addition to opening the door to federal financial aid H.R. 6 allows states to decide whether or not to advantage illegals over the children of citizens and lawful residents for tuition purposes. This is a direct contradiction of Obama-era Democratic policies that not only denied states the right to pass their own immigration laws, but sued those who stepped over the line. This new dream of being an American is another false Democratic Party promise to illegals, much like the party’s promise of prosperity to the poor and underprivileged that we hear election after election. What’s especially egregious about the Dream and Promise Act is its direct assault on the rights of citizens protected and codified by federal law. Fortunately, we know where this new Dream and Promise is headed. You will hear a lot about it in the days to come, but it will never go anywhere. Give credit to Steny Hoyer for unashamedly pushing his party’s nonsense about what being an American means to the limits of endurance. Citizenship is not a protection. It’s a privilege, not a reward for evading law enforcement. Suspending deportation is a protection, but when Trump offered to extend DACA Democrats said no, just like they refuse to agree to border security. The party makes fools of new citizens who do the right thing and ridicules those of us whose families have contributed for generations by spreading the lie that anyone who stumbles across the border is an American. Contrary to what Hoyer, Takano, and other Democrats will tell you, being an American is more than a politically motivated entitlement. 1. “Hoyer Remarks at Press Event with House Democrats to Introduce H.R. 6, the Dream and Promise and Promise Act.” Majority Leader Steny Hoyer. March 12, 2019. https://www.majorityleader.gov/content/hoyer-remarks-press-event-house-democrats-introduce-hr-6-dream-and-promise-act, retrieved March 13, 2019. 4. “Speaker Pelosi, Reps. Roybal-Allard, Velázquez, and Clarke Introduce Dream and Promise Act to Protect Dreamers and Recipients of TPS and DED.” Lucille Roybal-Allard. March 12, 2019. https://roybal-allard.house.gov/news/documentsingle.aspx?DocumentID=398560, retrieved March 14, 2019. 8. “President Trump Releases Another Deeply Harmful Budget, Democrats Pass Legislation to Make Government More Transparent and Open.” Majority Leader Steny Hoyer. 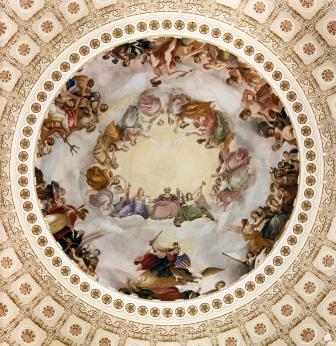 March 15, 2019. https://democraticwhip.house.gov/content/president-trump-releases-another-deeply-harmful-budget-democrats-pass-legislation-make, retrieved March 16, 2019. 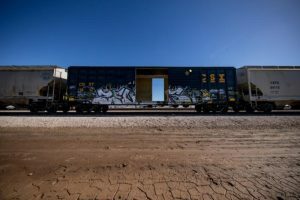 Image retrieved from: “El Centro Border Patrol Agents Find 44 Undocumented Immigrants in Boxcars.” U.S. Customs and Border Protection. 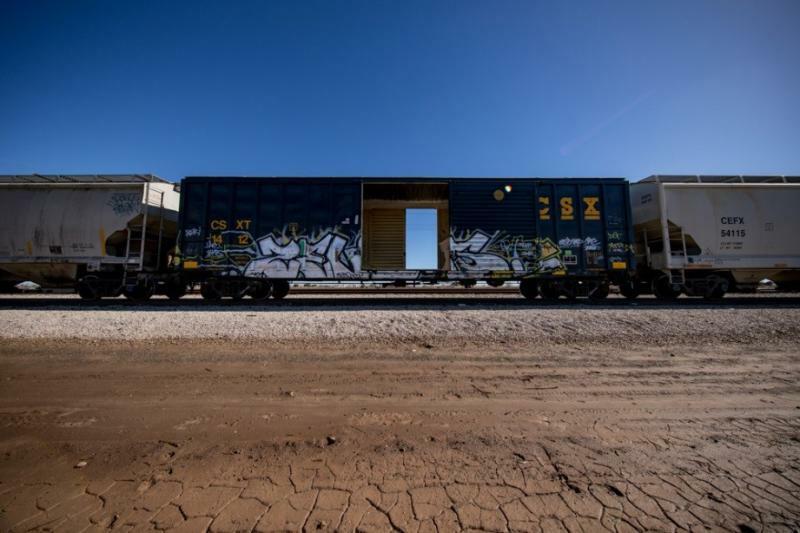 January 25, 2017. https://www.cbp.gov/newsroom/local-media-release/el-centro-border-patrol-agents-find-44-undocumented-immigrants-boxcars, retrieved March 16, 2019.